Clock, Table, Ebonized (4 columns), French, 19th C.
To a good quality early 19th century French architectural clock with four columns. 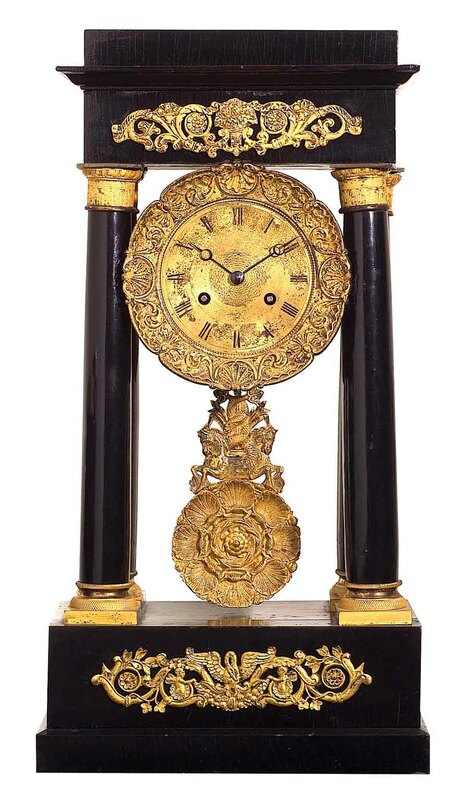 The ebonized wood clock is mounted with gilt bronze ornaments. And the dial and pendulum are mounted with floral motives. The two train eight day movement has time and strike. In good working order.